Parking for disabled visitors is free. Visitors with disabilities can receive validation from a valet attendant. Parking fees must be paid using our self-pay kiosks. They accept all payment types (cash, debit and credit cards) and are conveniently located on the 1st and third floor of parking structure B. Take the Exit 29 for Genesee Ave.
At the second light turn Right onto Scripps Hospital driveway. Once you reach the stop sign the building directly in front of you will be our building. At the second stop sign make a left and follow signs for parking structure B. 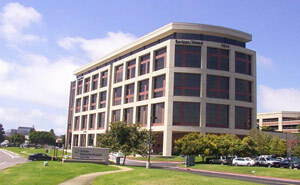 Our office is located in the Ximed Building 6th floor suite #660. Turn Right onto Genesee Ave.
Take the Exit 25 for La Jolla Village Dr.